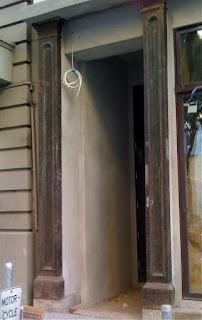 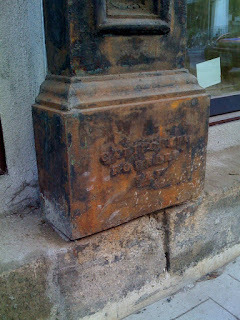 Spotted on Washington St. near Columbus: a restoration underway of a building whose exterior still features its original cast iron columns from the 19th century. 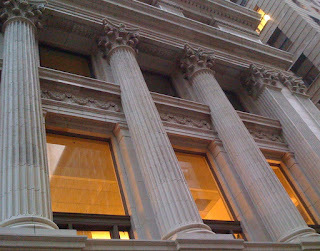 There's nothing all that distinctive about them, but the columns are a nice decorative and historical detail that I'm glad the building's owner saw fit to maintain. 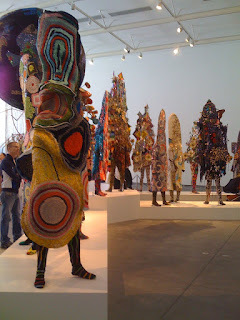 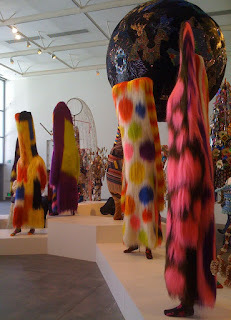 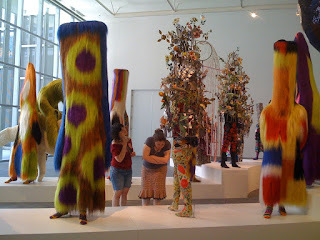 From "Meet Me at the Center of the Earth," a collection of 40 of Nick Cave's soundsuits, audible costumes for performance art. 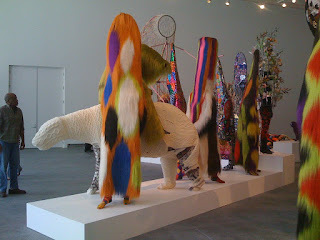 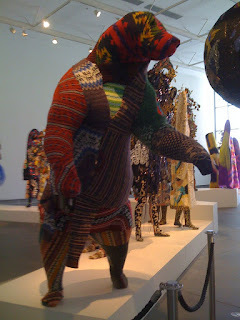 Witty, wonderful work -- those bear suits are made from sweaters, and some of the others look like they were made from purloined vestments from the Vatican Museum.